On the heels of the publication of the new book Medical Museums: Past, Present and Future, I am working to assemble a master list of all known medical museum books and catalogs. Many of these museums are quite small and obscure, and thier publications, if they exist, hard to find. If any Morbid Anatomy readers happen to know of any such publications, no matter how humble, I would greatly appreciate if if you could let me know! You can do so by emailing me at morbidanatomy [at] gmail.com. 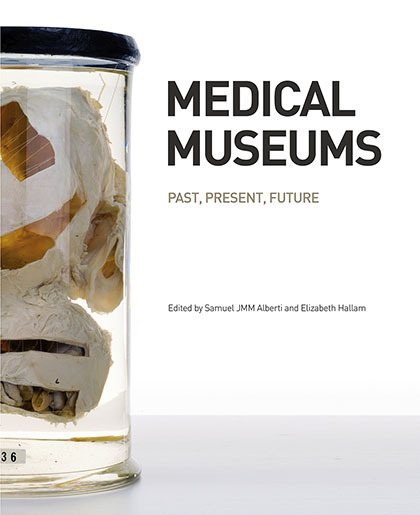 You can find also out more Medical Museums: Past, Present and Future--with its "17 richly illustrated chapters" covering collections such as Berlin's Charité, the Copenhagen Medical Museion, Edinburgh's Surgeons’ Hall, La Specola of Florence, London's Hunterian and Wellcome Collection, the Mütter of Philadelphia, Morbid Anatomy, and much more!--by clicking here; you can buy a copy of your own by clicking here. Amazon has the book as out of print already.